I think it’s fair to say that Destiny 2‘s first steps have been hard-going. After a strong launch and a great deal of initial praise (my own included), the dust settled on a whole lot of raised eyebrows. The inclusion of a story and pretty new worlds turned our heads, and most lost sight of some very obvious questions: why had Bungie released D2 as a new game? Where was the supposed 10-year plan? Why were the previous worlds, Raids, Strikes, Crucible maps and gear sets gone? Wasn’t this a direct continuation of the previous story? Cleverly, Bungie deflected those questions with the announcement of the first DLC pack, The Curse of Osiris, promising us another new world to adventure in, new gear, new story quests and a new faction. While they delivered on those promises amidst a great deal of controversy for which they can only really blame themselves, The Curse of Osiris is hardly ground-breaking stuff. Which is not to say it’s bad. In fact as Destiny DLC goes it’s more or less on par with House of Wolves. 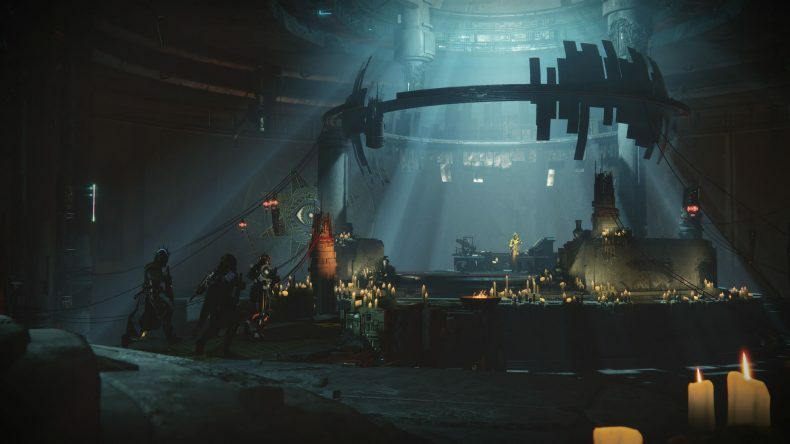 No, the problem with Curse of Osiris is that it doesn’t feel like much of an offering. There are two new Strikes, but they’re both re-hashed story missions; there’s a new world to patrol, but it’s neither particularly big or nice to look at (for the most part); there’s new gear, but it’s a measley two sets per class, propped up by Ornaments, grind-heavy adornments that alter existing armour sets once you’ve hit certain milestones. There are other minor changes and balance tweaks, but they’re par for the course, and necessary fixes rather than new content. Tellingly, the Eververse store which lets you buy its items for real world money (converted in-game into Silver) is bursting with new gear. A ton of new Shaders, Ghost shells, ships, sparrows and emotes await you, and it’s depressingly, perhaps disgustingly, clear where Bungie have focused their creative attentions. Yes, you can grind for this stuff, but Bungie have without a doubt gone hell for leather on the Eververse stock compared to the rest of the hastily designed new gear. That aside, the story is decent but very short, coming in at around 2 – 3 hours with some extra Adventures bolted onto the end. As a slice of DLC that’s fine, and the other additions such as the Crucible maps and Strikes bolster it a little. 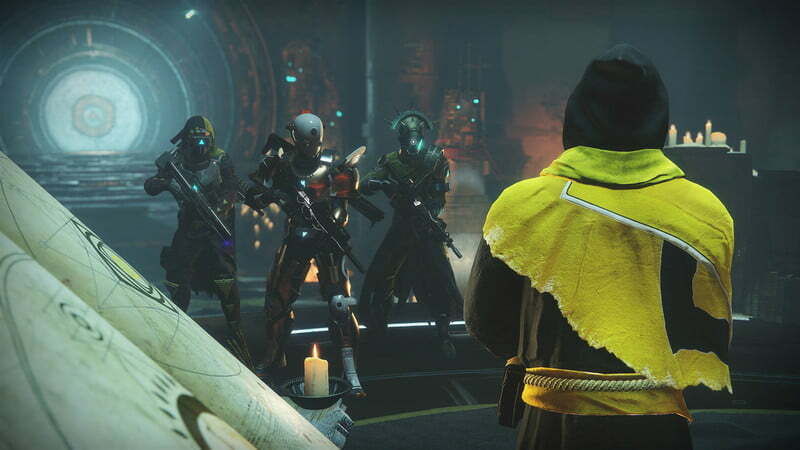 The plot sees your voiceless Guardian join Ikora Rey to hunt down Osiris, the most powerful Guardian ever, who had gotten himself into a single with the Vex on Mercury. As usual it’s a well-acted little tale (Osiris is played by Oded Fehr, while his Ghost, Sagira, is played by Firefly’s excellent Morena Baccharin) with some nice cutscenes, but the actual gameplay is a little hit and miss. This is mainly due to the Infinite Forest, a new area so over-hyped that it couldn’t possibly have lived up to expectations. We were kind of led to expect a new experience each time, with new enemies and areas, but what we got is the most basic version of that you can imagine. It’s just a bunch of platforms that phase in when you kill the “daemon” guarding a gate, which is actually just a glowing version of a normal enemy. The Infinite Forest serves as a bridge through which you can travel to far future and distant past versions of Mercury, but it’s dreadfully dull and not all that pretty when you get past the initial gasp at the illusory scale of the place. The most interesting place on Mercury is actually only available during Strikes and certain activities, when you travel into the past and see it as the “Garden World” it once was. It’s beautiful, like something from those bullshots of No Man’s Sky, but you’re not there enough to enjoy it. 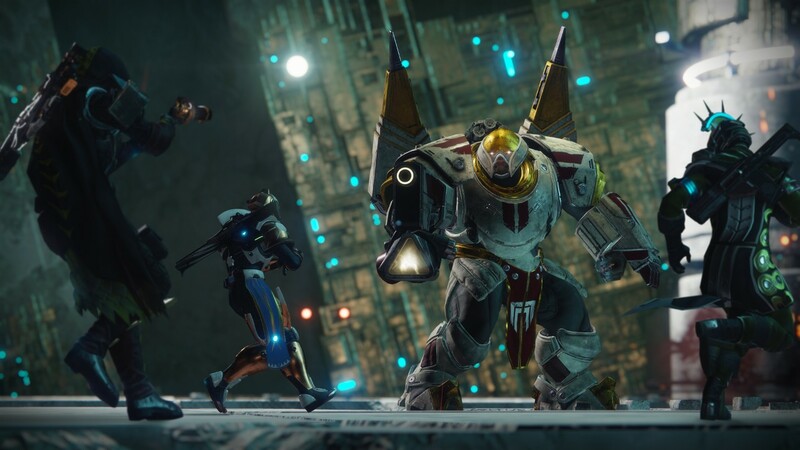 The new boss, a giant Vex construct, is visually cool and genuinely quite scary – so much so that I can’t help but feel it was destined to be a Raid boss in a Raid Bungie didn’t have time to build. It’s a shame, because the final fight with him is far too easy considering his appearance. It’s a decent fight with some good mechanics, but the challenge just isn’t there. It sounds trite to say it, but it’s more Destiny 2 at the end of the day, and if you’re a fan you’ll find a few reasons to keep playing for a while. The worry is that we were mostly done with the vanilla content inside of the first 2 months, and there just isn’t enough here to keep seasoned vets going until the next DLC in Spring 2018. Given the constant controversy, general ill feeling and reports of a dwindling player base, it’s fair to say that Bungie need to do better next time. The Curse of Osiris is an enjoyable adventure, Mercury is a pretty but ultimately quite empty location, and the new Strikes are actually overshadowed by the new Public Event. All in all it’s a middling start for Destiny 2, and no matter how incredible the core mechanics are or how addictive that reward loop is, people aren’t going to keep playing if there’s nothing new to see. A lacklustre first offering that gets by on a few star turns and the same stirling gunplay.